Las Vegas, Nevada – 6/23/17 – QWASI, the industry-leading technology company for communication and Cisco’s ecosystem partner, will be exhibiting and presenting at Cisco Live 2017 in Las Vegas, June 25-29, 2017. At Booth #1129 C7, QWASI experts will be on hand to discuss the range of QWASI solutions for mobile communication management and present demonstrations of latest integrations with Cisco. QWASI has been focusing on driving smarter communication through innovative solutions. 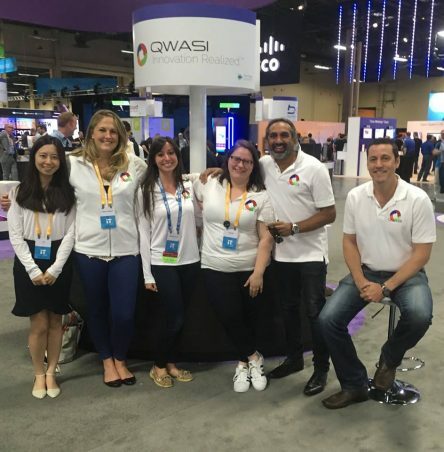 And at this year’s Cisco Live Las Vegas, QWASI will showcase several new solutions embedded in Cisco’s products that add value to businesses. And Lara Hanson, the Chief Innovation Officer of QWASI, will give a speaking session at the Collaboration Theater Booth #1129 on Tuesday June 27 3:30 pm – 3:45 pm about “How Emoji Messaging Unlocked 5 Billion Impressions and ranked Pizza Company behind Apple and Amazon in Digital Transactions”. 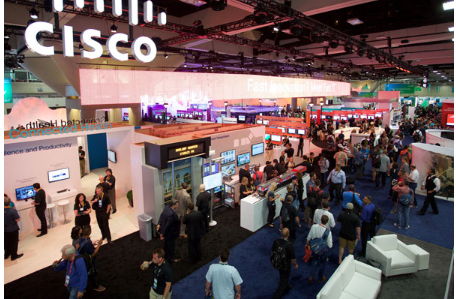 With thousands of technology innovators and more than 1,000 education sessions, Cisco Live offers numerous opportunities to learn about cutting-edge technologies that drive digital transformation to fuel business growth. Join QWASI at the Cisco Live Las Vegas 2017 and stop by Booth #1129 C7 to check out some of the new ways mobile is impacting customer engagement. Please refer to https://www.qwasi.com to learn more about QWASI, and click here to schedule a demo and consultation.